Count your blessings, interlopers. No Man’s Sky is getting a surprise update, called Visions, for Thanksgiving. 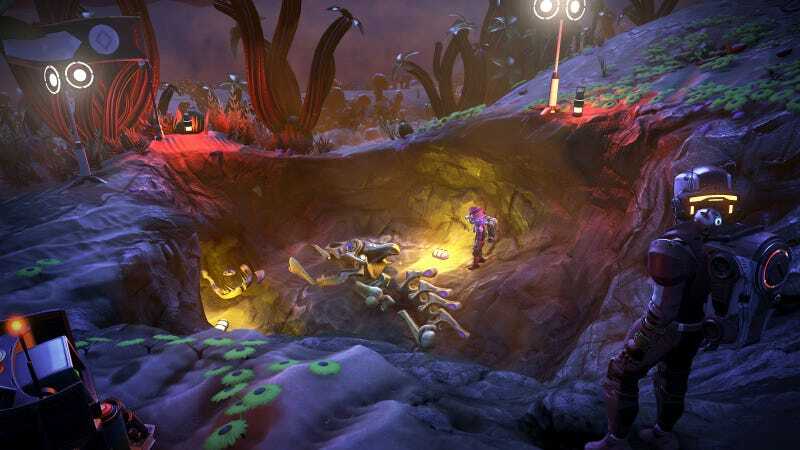 This update doesn’t appear to be quite as hefty as previous ones, but it’s still introducing new biomes, outer space creatures, and more community events. The update will launch tomorrow while many Americans are chowing down on turkey and green beans. That’s a lot to be thankful for, in my opinion. I’m excited to see all the new things that Hello Games is giving players to discover—after I wake up from a post-Thanksgiving nap, that is.